Houghton Mifflin Harcourt, 9780618247271, 304pp. Writing of Samrat Upadhyay’s debut story collection, critics raved: like a Buddhist Chekhov . . . speak[s] to common truths . . . startlingly good” (San Francisco Chronicle) and subtle and spiritually complex” (New York Times). Upadhyay’s first novel showcases his finest writing and his signature themes. 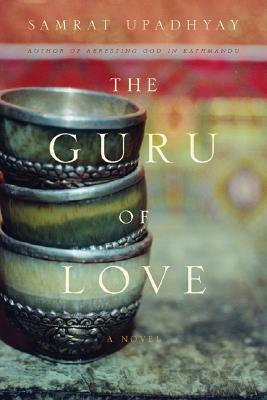 The Guru of Love is a moving and important story  important for what it illuminates about the human need to love as well as lust, and for the light it shines on the political situation in Nepal and elsewhere. Absolutely absorbing yet deceptively simple, this novel cements Upadhyay’s emerging status as one of our most exciting new writers. "There is an international fraternity of artists of the middle-class. What animates these artists' moral vision is above all compassion. The universality of this class and those themes is demonstrated in Samrat Upadhyay's first novel, The Guru of Love".